I arrived to Canada not knowing what to expect at TEDActive. The anticipation had been building for months. The attendees had been connected to one another through our group Facebook page and TED Connect, TED’s app for the conference. I felt like I knew at least a dozen or so attendees pretty well but I also did not know them at all. Would I just be able to walk up to them and say hi and expect them to know me? The conference officially started on Monday, March 17th, but the experiences started many days prior. As attendees started arriving into Vancouver, they started hosting lunches, dinners, and other activities to get to know one another. I arrived Saturday morning to a rainy Vancouver and was welcomed by TED’s lollipop sign at the airport and it’s banners downtown. My first introduction to the lovely people attending the conference was Ibrahim. Ibrahim was Doug’s roommate in Vancouver and one of the people I had met on Facebook. He was born in Norway and raised in Sudan and his family is from Somalia. Not more than 25 years old, he has already shifted careers from an oil engineer to a filmmaker. We got to know each other pretty well over the course of the week and what I love about Ibrahim is his ability to find a way to connect with anybody and everybody. At the end of the week, he had multiple people referring to themselves as his mom, sister, and brother. I know I will be seeing him again. For TEDx organizers, the events kicked off on Saturday. 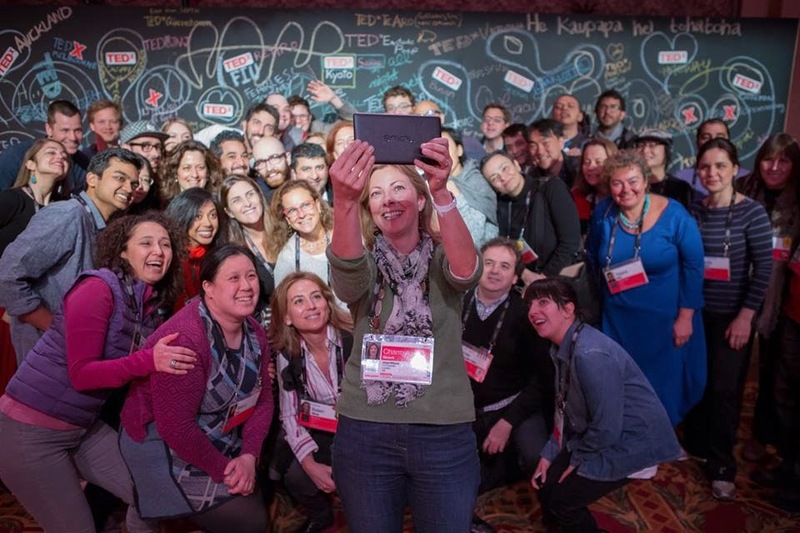 We were treated to a behind the scenes look at the TED conference in Vancouver. This included a 3D printer, a first class seat experience by Delta, a mini printing press by Target and all the interactive engagement stations created by TED. We also got to see the one of a kind brand new theater and watch some pretty phenomenal speakers rehearse. The wooden theater was built just for the event and will be packed away until next year. Before leaving for our next venue, we were welcomed and thanked by Chris Anderson, the man behind TED, himself. It was a wonderful way to start the day. We were reminded over and over again to be prepared for a workshop on a snowy mountain. That mountain was Grouse, located 30 minutes outside of downtown Vancouver. We arrived to rain and snow and went up the mountain for our workshop. Some opted to ice skate during our down time while others decided to remain indoors and enjoy the heat. I opted to snow shoe for the first time. It was a fun way to prepare for the weather in Whistler! The workshop was a great opportunity to exchange ideas and challenges with fellow TEDx organizers and learn from one another. Doug, Asghar and I came out with loads of fresh new ideas for our event on Oct 25. Whistler is about 2 hours north of Vancouver and is a resort town located in the Coast Mountains of British Columbia. TED describes TEDActive as, “a place to find opportunities to awaken latent creativity and let you rediscover the joy of making something with your own hands. 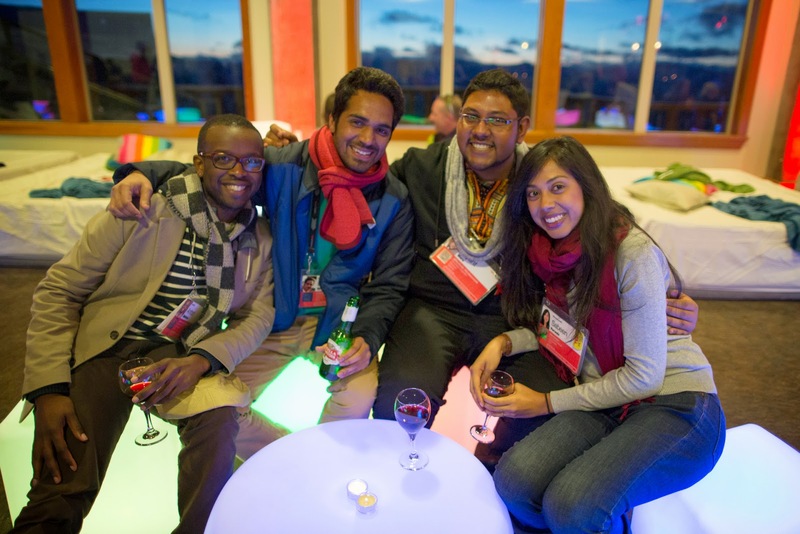 Included in the TEDActive mix are TED leaders from around the world who are helping to foster TED's mission of spreading ideas: Volunteer translators, independent TEDx event organizers, TED Prize wish contributors and past TED Fellows.” I would say it’s the fun and less stuffy version of the TED conference. I felt like a freshmen entering an adult summer camp of about 700 attendees. There were veterans that knew everyone and what to do at all times and then there were people like me, new to the experience and trying to go to every single thing so we would not miss a thing. What happened next changed me. I was constantly reminded to fight for what’s right and to always always chase my dreams. Chris Hadfield encouraged me to conquer my fear. David Kwong taught me human beings are wired to solve, to make order out of chaos and therefore we should never be afraid of accepting a challenge. Amanda Burden made me think of Jacksonville and how much its leaders need to take the long view, a view for the common good. Zak Ibrahim woke me up. He reminded me that violence is not inherent to one’s religion or race. Charmian Gooch made us all rally behind her wish to end anonymous countries. Even took a selfie with us! Hugh Herr showed me a person can never be broken. Lawrence Lessig made me admire him immensely for taking on campaign finance reform. Elizabeth Gilbert reminded us all that home is whatever in this world you love more than yourself. Ed Yong made me love science all over again by showing me that parasites actually control us all! Sarah Lewis told us that it is in our nature to thrive not when we have done it all, but when we still have more to do. Isabel Allende reminded us that society decides when we get old but the spirit never ages. She also made me visualize Antonio Banderas lying on a tortilla. Shaka Senghor encouraged us to change the prison system because it is currently designed to warehouse rather than reform people. Simon Sinek made us realize that leadership is a choice, not a rank. Leaders choose to sacrifice and take the risk. Kevin Briggs made me aware of the harsh reality of suicide and to always be available to listen. Joi Ito eloquently stated education is what people do to you, learning is what you do for yourself, and to focus on the now rather than the past or the future. Andrew Solomon made me feel tears of joy with his simple message: forge meaning, build identity. Finally, Gabby Giffords showed me what resilience looks like. Her message was simple, get involved in your community, be a leader, set an example. These were just the talks. Then there were the interviews with Edward Snowden, Richard Ledgett (director of NSA) and Larry Page. All of which were brilliant and made me feel extremely honored to support an organization that can make them all happen. Most importantly, there were the people. My initial fears of how the week would go were put to rest as soon as the conference started. It didn't matter who was from where or how many of conferences they had attended, everyone was welcomed with a smile and it was as if we were all long lost friends. These were the most amazing people I have ever met in my entire life. They came from 65 countries and took my breath away. They were open, welcoming, creative, brilliant and doers. I know that each and every one of them will change the world for the better. Some of them were TEDx organizers in countries where it is extremely difficult to cut through the red tape. They were from Uganda, Yemen, Somalia, Sudan and Egypt. They put on TEDx events and hope to change their communities for the better. I commend them and am in awe of them. TEDActive wasn’t just a conference. It was a life experience. I came back a different person, one who sees from a fresh new perspective and believes everything is possible.